This rustic dining room table will be a perfect addition to a casual dining room or breakfast nook. The table has a classic design will thick, block legs and an inset apron. 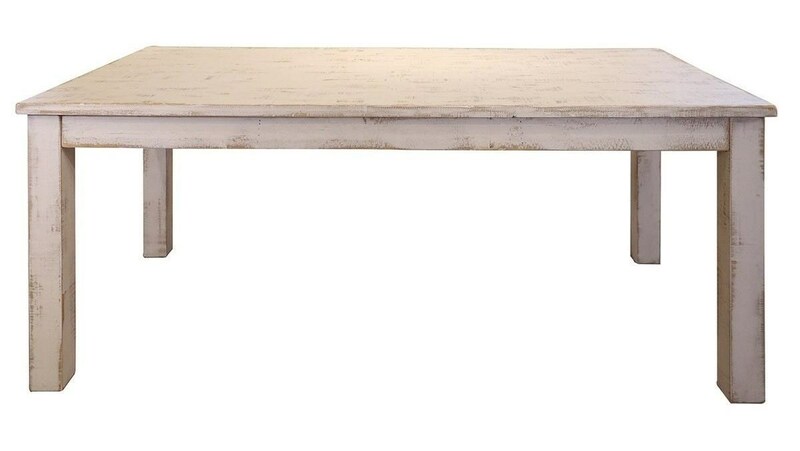 A distressed finish and the simple, charming style make this table a wonderful addition to either a country farmhouse or a downtown loft. The Pueblo Rustic Wood Dining Table by International Furniture Direct at Furniture Mart Colorado in the Denver, Northern Colorado, Fort Morgan, Sterling, CO area. Product availability may vary. Contact us for the most current availability on this product.